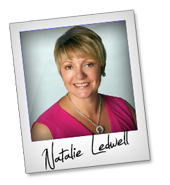 Natalie Ledwell – Mind Movies – Ultimate Success Masterclass 2.0 Affiliate Program JV Invite, More. Welcome to the JVNP 2.0 Update featuring a JV request courtesy of fellow JVNP 2.0 Partner Natalie Ledwell (Mind Movies – Ultimate Success Masterclass 2.0 evergreen affiliate program JV invite), Buzz Builders (Brett Ingram + Mo Latif – AutoPiXar launch, Jai Sharma, Blaze Ubah + Firas Alameh – ReBakeTM, Nicola Delic – Scientific Trading Machine pre-launches) and More … in Today’s gobble up a heaping helping of lifetime commissions edition. There will be no mailing this Thursday in observance of Thanksgiving. I hope yours is a very Happy & Healthy one, and that you’re able to spend it with Family & Friends … whether you celebrate the Holiday, or not. Mind Movies has been around since 2007 and offers a range of personal growth tools and programs to help people live happier, healthier and more successful lives. We pride ourselves in having the best conversions around and constantly optimize our sales funnels to ensure that affiliate partners who promote for us make great commissions. – All of our active JV partners are paid out “LIFETIME” on their leads – meaning you’ll receive commissions for any purchases your leads make, forever! – Make timely payments on the 15th of every month via PayPal. – Have solid content-heavy mailing sequences that consistently bring in EPCs of $1+ for our partners. We’re always looking for awesome partners to add to our affiliate family and would love to send you a big affiliate check for promoting our recently launched Ultimate Success Masterclass 2.0 (USM 2.0) evergreen offer! >>> Sign up to join us here. Here’s a full explanation of the USM 2.0 evergreen offer and our suggested mailing sequence for promotion. USM 2.0 is an interactive coaching program, that’s completed at the students own pace, and helps people reach their #1 goal that is set at the beginning of the course. It’s on a highly-interactive platform that Mind Movies created in-house, to strategically drip the information to members each week and also remind them via email, text or phone if they haven’t completed their due tasks, and to motivate them to keep moving forward. The program includes a weekly teleseminar call, as well as video and audio trainings, downloadable worksheets, mastery exercises, additional bonuses and access to a community forum, where members can connect directly with Natalie and other “USM’ers” to receive ongoing support. *Note: We are currently testing multi-payment options so this may change. The tested Ultimate Success Masterclass 2.0 mailing sequence is first to a quiz, then to a webinar. USM 2.0 is sold on a webinar all about removing self-limiting beliefs so you can reach your #1 goal. From our testing, we recommend mailing first to the quiz early in the week (Monday is the highest converting day), then a couple of days later, mail directly to the webinar registration. >>> Visit the MindMovies affiliate registration page for complete details. We’re really looking forward to working with you! How I got over 5,389,263 (5.38 Million) FREE Views on YouTube and 60,000+ Leads – and Automated the Entire Process with this New Secret Weapon. Check Out the Incredible Sales Funnel – Up to $127 Commission Per Sale + Recurring. Over $5000 in JV Contest Prizes up for Grabs. Andrew + Chris Fox – YT Gorilla JV page. 1-Click Software Gets YOU Leads, Sales & BUYERS 100% FREE In 1/10th Of A Second! Earn Up To $435 Per Lead! $12,500 In JV Contest & Cash Prizes! $9.81 EPC. 23% F/E Conversions + 87.1% OTO Conversions. Are YOU In For Easy INSTANT Commissions? Brett Ingram + Mo Latif – AutoPiXar JV page. Patent Pending – Never Seen Before World’s 1ST Rebaking Technology Based Builder! Turn Whole Website into a 1KB Size in Under 60 Seconds with Ultra Fast Page Loading Speed! $394 in Funnel Sales & $10,000 in JV Cash Prizes! Visit the JV Page for all the Launch Details => Jai Sharma, Blaze Ubah + Firas Alameh – ReBakeTM JV page. Easy $290.00 Per Sale To You! Blockbuster NEW financial product. Starving Market in trading niche. Scientific Trading Machine … Massive proof – never before seen product. Brand new $997 physical product – 30% commission. Pre-launch starts November 22nd – Launch day is November 29th. This is a done for you launch. Learn more here => Nicola Delic – Scientific Trading Machine JV page. Join my BIGGEST eCommerce launch this year with HUGE Commissions! Over $75,000 in prizes plus a “Control Your Destiny” prize pool so everyone can WIN! No matter what you’re list size is, our proven sales funnel will help you earn HUGE commissions! Zero Up™ is a never-seen-before software suite built for beginners and advanced marketers! Check out our JV page => Fred Lam – Zero Up JV page. $50,000.00 in bonus cash and prizes up for grabs, 25k for top affiliate. Jeff Johnson’s Coaching Club™ is a training and coaching program where I also personally help your referrals build their list, get more traffic, and find new customers. Earn 40% plus commissions on upsells, backend sales and recurring commissions.Jeff Johnson – Coaching Club 2017 (Was Tube Traffic Secrets 2017) JV page. Make up to $770+ per sale plus your share of $5k+ in JV prizes with Phil Benham’s ClickHere Special Deal! Seven smart graphic tools for increasing email clicks, special 1 year and lifetime deals, 50% commission to you. Full information and affiliate link request on our JV page -> Phil Benham + Pat Flanagan – ClickHere Special Deal JV page. Posted in Joint Venture Announcements, Self Help	| Tagged Affiliate Marketing, Affiliate Program Directory, Affiliate Programs, Attract Affiliates, Attract JV Partners, AutoPiXar, Best JV Brokers, Blaze Ubah, Brett Ingram, Buzz Builders, evergreen affiliate program, Find Affiliates, Find JV Partners, Firas Alameh, Home Business, Internet Marketing, Jai Sharma, Joint Venture Blogs, Joint Venture Forums, Joint Ventures, JV Announcements, JV Blogs, JV Forums, JV Invite, JV Launch Calendar, JV Product Launch Calendar, JVNewsWatch, JVNotifyPro, Make Money Online, Marketing, Mike Merz Sr, Mind Movies, Mo Latif, Natalie Ledwell, New Product Launches, Niche Marketing, Nicola Delic, Online Business, Pre-Launches, Product Launch Calendar, ReBakeTM, Scientific Trading Machine, Ultimate Success Masterclass 2.0, Work At Home	| Comments Off on Natalie Ledwell – Mind Movies – Ultimate Success Masterclass 2.0 Affiliate Program JV Invite, More.